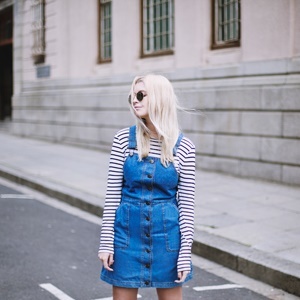 Fashion blogger and one of our favourite style stars, Amy Scheepers, shows us why we should be digging out those denim dungaree dresses from the black of our closets. 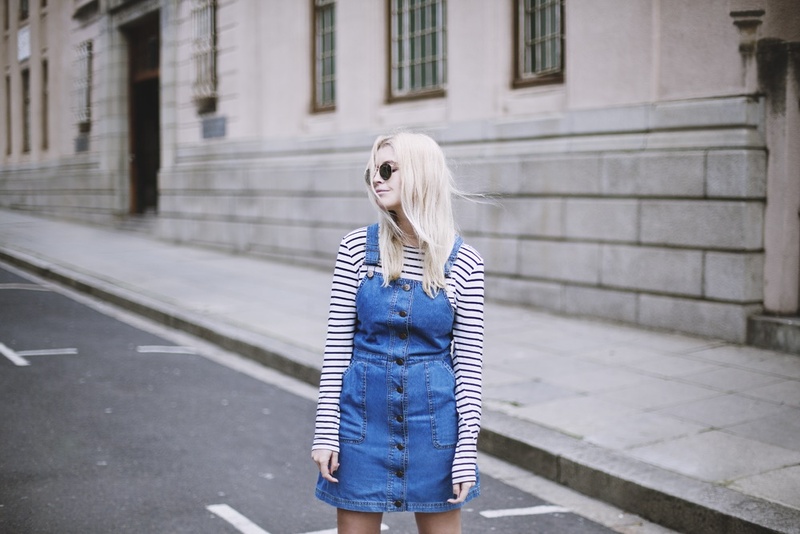 A super short outfit post today! I’ve been busy babysitting my sick little pug and let me tell you – a tiny, drowsy creature with a satellite around its neck can be a pretty full-time job. 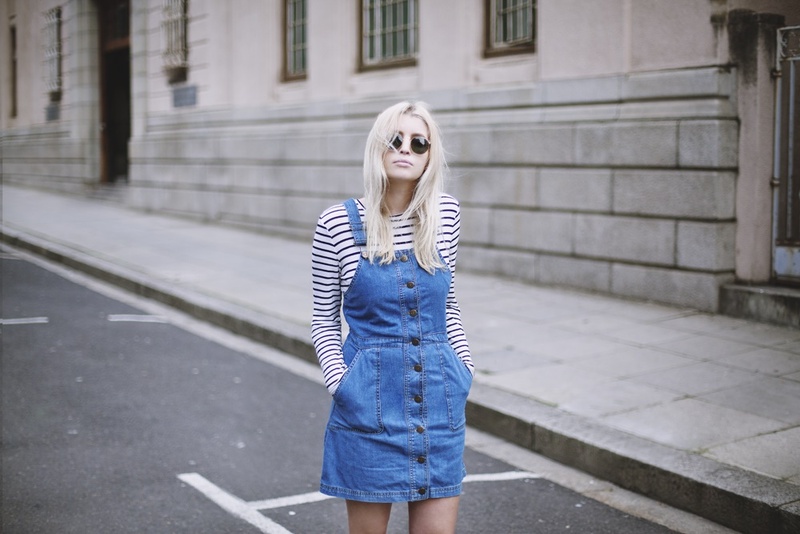 Pair a long-sleeved striped tee with denim for an effortlessly cool breezy day look. Add tights and a parka for colder days. Follow Amy on Instagram or visit her blog.